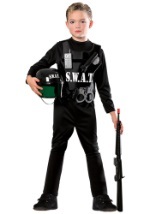 Your child will love pretending to catch the worst criminals on the streets with this SWAT Team Costume For Kids. 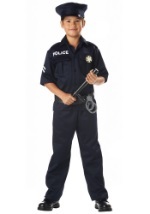 This costume includes a black polyester shirt that has Velcro snaps in the front to close the shirt. 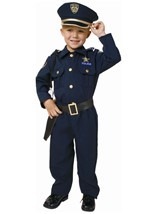 There is a police officer shield patch on the left arm of the shirt and two fake pockets on the chest. 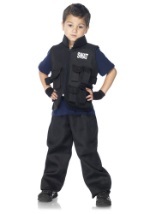 The vest has a zipper front and three plastic buckles on the front to close the vest. 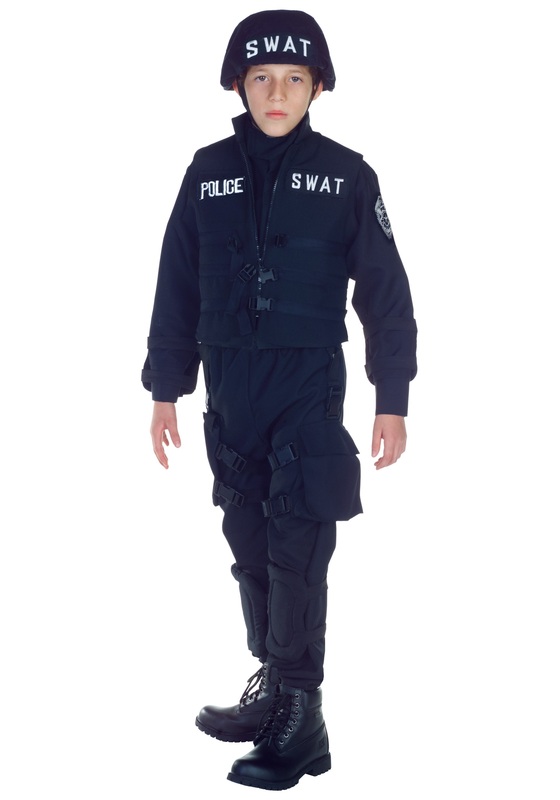 There is a patch on the left side of the vest that says "SWAT" and on the right side one that says "Police". The pants of the costume are also made of black polyester and have an elastic band at the waist to help keep them up. There is a black pouch that has adjustable buckle straps so it can be warped around thigh and it can be opened with a Velcro snap on the top. 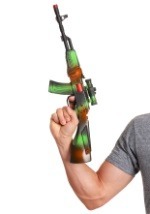 The holster has adjustable buckle straps just like the pouch and can be wrapped around the opposite thigh. The knee pads have a foam layer under the black fabric and two elastic straps on them so they can be slipped on easily. 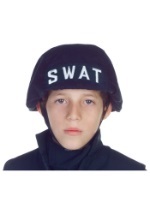 The helmet is made of black plastic and has a black fabric cover that says SWAT on the front. The helmet also has an adjustable chinstrap that will help it say on the wearer's head. 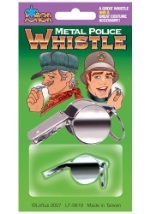 Be sure to look at our great cop accessories so your little one can start busting the bad guys!